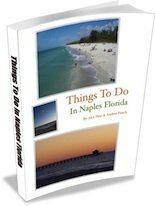 im 60ty yrs old retired from medical profession- no not a doctor, businessman- looking for a place in naples for 3 or 4 months jan thru april. very active, power yoga to mt climbing to mini tri athelons. just want to find a place to see what part of naples i would like to live- my daughter lives in Ashville,Nc so flying out of naples to ashville is excellent. I like exploring fla . spent allot of time in clearwater, which is a great city to dance and kayak.